When Strop arrives she is in a very good mood due to being on hols and going to Fiji in a few days time. I have managed to appropriate a table in the crowded Garden Bar, conveniently close to the loos. 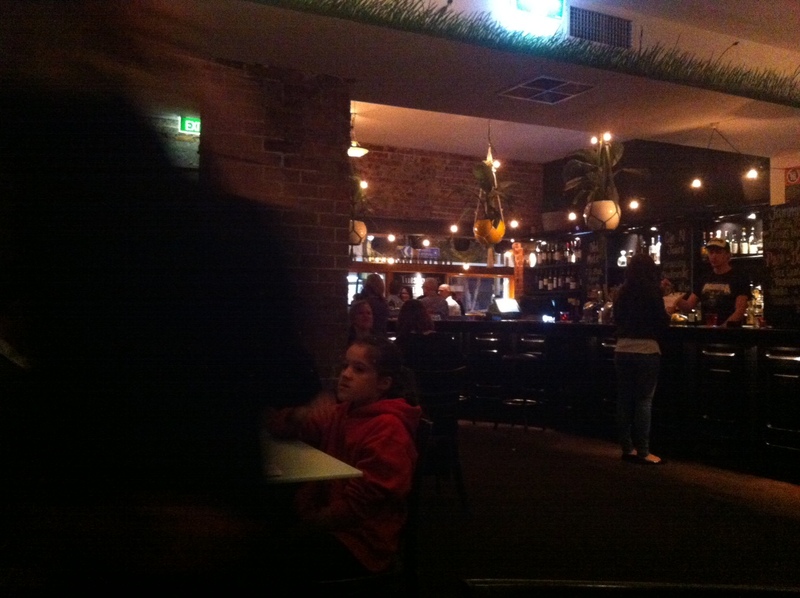 The Marly is a Newtown institution, which is not necessarily a good thing in my experience. It has recently had a bit of a makeover though, and the vortex of the redecorating whirlwind seems to have settled on the back bar which has become quite girly and gardeny. There are friezes and murals on the general theme of plants, lots of exposed brick, and even internal window boxes with plastic lavender (I wonder how they dust those). It’s all a bit gorgeous really. Still, the vibe is lively and the staff are very efficient and friendly. As they all have beards, tatts and oversized earings, the only way to tell them from the punters is by the tea towels they all wear, hanging jauntily from their waists. Rule Number 6 says burgers, so that’s what we’re having. At first I like the look of the Newtown Cheeseburger – well it’s just the name really, I’m a sucker for a good name – until I read the fine print and realise it is a No-Meat option. No thanks, I’ve been waiting a long time for this burger opportunity and the presence of meat is non-negotiable. So the order at the bar is two Beefburgers With The Lot, another Dogbolter for my good self, and a glass of Rioja for the missus. While at the bar I notice that the top shelf is brimming with single malts and decide to forego dessert in favour of a Talisker later on. There are pot plants in macrame holders hanging over the bar. I’m glad to see macrame is making a comeback with the hipsters, but it is an odd feeling when the trappings of your formative years become the next generations ironic plaything. Luckily the burgers arrive before I get too depressed by this thought. 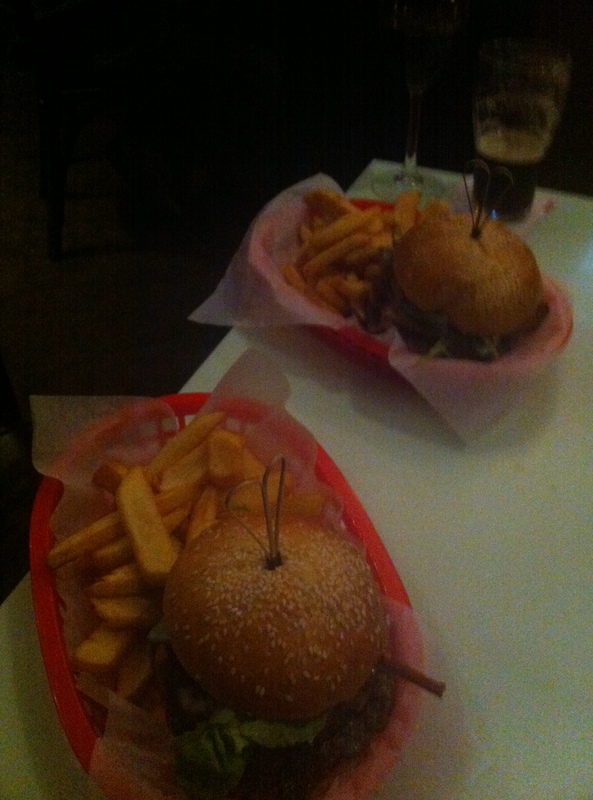 The burgers come in little red baskets with chips on the side and they are excellent. Nothing ironic here, just a reverential tribute to the old-school definition of The Lot: egg, bacon AND pineapple. There may have been cheese in there too but I didn’t pause long enough to be sure. And the burgers are not too large in the diameter dimension. They are a traditional burger size, although piled high enough with fillings to warrant spearing with a bamboo reinforcing spike. The only negative we find is that the buns are a little on the sweet side. This doesn’t worry me but Strop likes to make constructive criticisms. To my mind, the role of the bun in a burger is similar to a napkin, it is only there to keep your fingers clean. All you want to notice about the bun is the toasty inner surface, nicely softened by barbecue sauce and fat. We finish off the evening with a Lagavulin and a Talisker before stumbling home to fall asleep in front of the television. 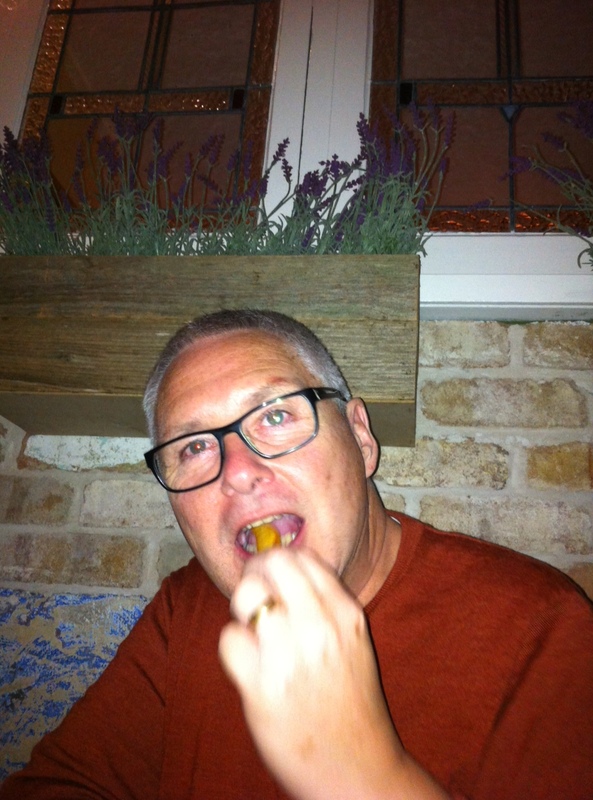 The Marly has set a high pub-burger standard. I wonder how the others will compare.